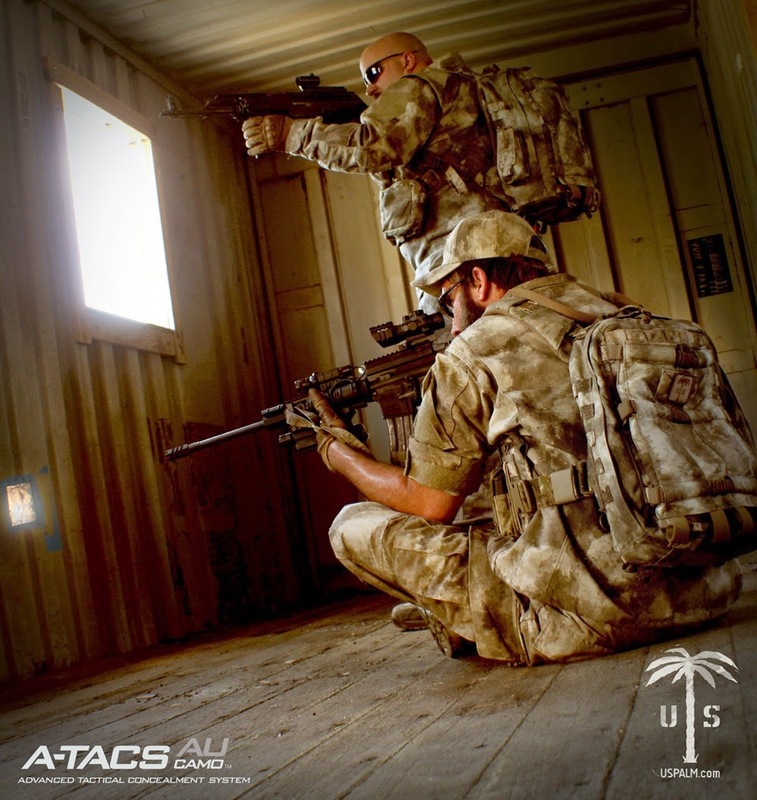 With a continued focus on the great gear from US PALM, A-TACS Camo takes a look at the Draco Hardened Back Pack offered in their A-TACS AU Pattern for Arid and Urban environments. The Draco Hardened Back Pack [HBP] from US Palm was created in response to numerous agency/unit requests for an integrated assault pack/plate carrier solution. Through many design iterations and after reviewing field test evaluations from Real-World end users, the design team at US Palm landed upon the current design. Equally at home running Border Op’s or responding on the backs of a QRF operator half a World away, the Draco HBP has the adaptability to answer any missions needs. By having the plate pocket align with the TOP of the pack, it lines up appropriately with a front side plate carrier option. Features of this pack include an 1800 cu/in main compartment, separately accessed large SAPI plate pocket, full MOLLE lined interior compartment, full MOLLE front panel, 2 column MOLLE sides, “Armor” compatible shoulder straps with sternum strap, hydration port, (2) interior zipper access flat pockets, and a hanging mesh pouch. The bottom of the armor pocket provides a small discrete space, which perfectly accommodates their Mini-Vis Signal Panel (sold separately). Interfacing the Draco HBP with the ACS Collar (sold separately) can be accomplished 2 ways: First, by simply threading the supplied shoulder straps through the ACS Collar, the operator can realize the benefits of a padded collar. Secondly, the HBP can interfaced with either a DTPC or MPAR/AKARv2 with their Side-Release Kit. Utilizing these options creates a near Outer Tactical Vest solution.